Rolls in various widths, length and thicknesses from 1mm to 123mm. 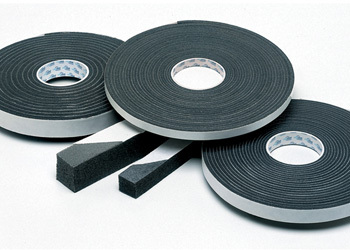 Expanding Sealing Foam is an extremely versatile self-adhesive acoustic foam tape that expands to completely fill gaps and voids. 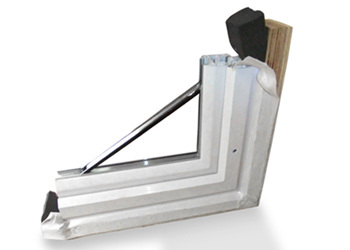 It is particularly useful applied around replacement window and door frames during installation. A polyurethane, cellular foam impregnated with flame retardent properties. 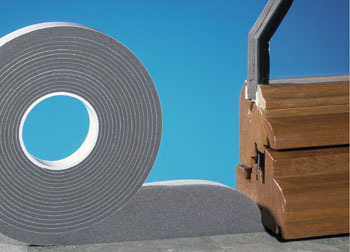 The expanding foam tape is supplied with one side self-adhesive for initial positioning. It is available in a range of widths and thicknesses and so can be supplied to suit almost any gap sealing application. The product is most useful when used to seal around door and window frames but can be used anywhere when a flexible, acoustic, waterproof and thermally efficient foam sealer is required. The Expanding Foam Sealing Tape is exactly what the name suggests. 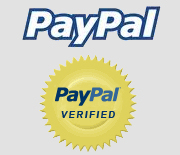 It is supplied compressed on a roll that slowly expands after it has been applied. This gives time for the frame to be installed before the foam totally expands effectively sealing the space between the frame and the wall.